Dark olive cat's eye (fibre-optic) beads, wire-looped randomly together, make up one strand of this bracelet. 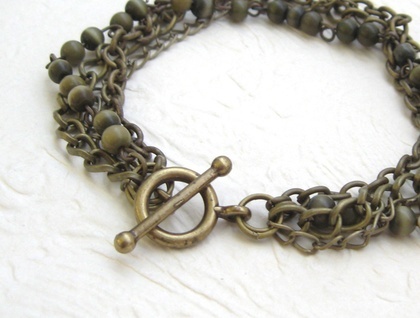 The other strands are antiqued-bronze coloured cable chain and two types of curb chain. 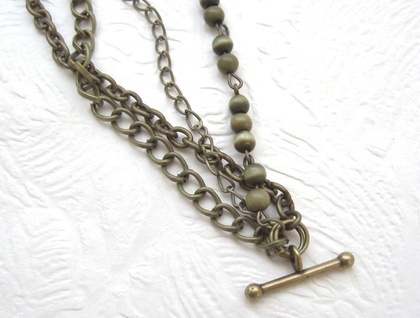 All four strands are fastened with an antiqued-brass coloured toggle clasp. 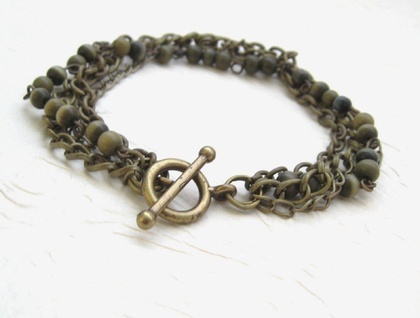 This is a very tactile bracelet: the different chains are sturdy but not too heavy, and actually feel quite smooth and flowing when you stroke them all together. 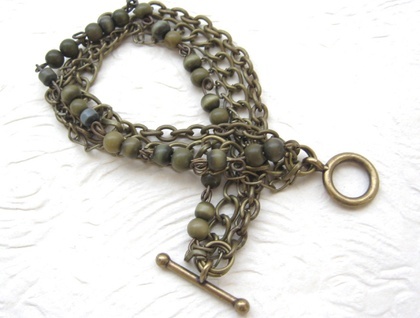 The bracelet measures a generous 23.7cm, including the clasp. It can be shortened if required, at no extra charge; simply send me a message before you purchase the item, stating the measurement you want.